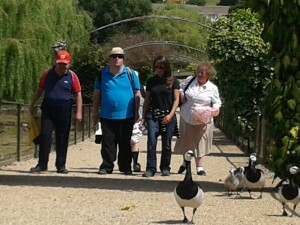 Through our Active Living project we provide group activities for adults with a learning and/or physical disability, and adults with a mental health conditions. Our specialised team work with our clients to provide a variety of sessions that support learning, confidence building, improve social skills, community integration, and provide a platform for creative expression, all in the safe, accessible environment that is the Riverside. 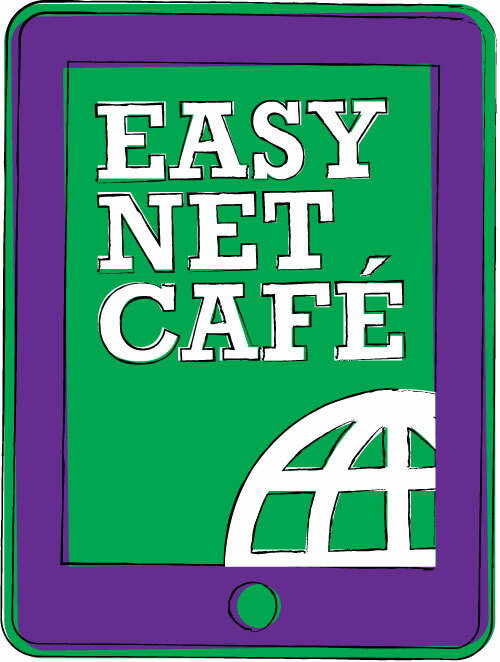 We have the EasyNet café, that offers a fantastic variety of new IT classes and equipment, from iPad classes to photography, creative writing and one to one learning. 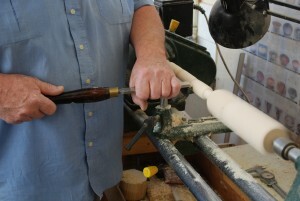 We also offer woodwork, arts and crafts, performing arts, cooking, gardening, day trips and more. If you would like to know more about how to get involved, please call us on 01983 539 371, arrange a visit. 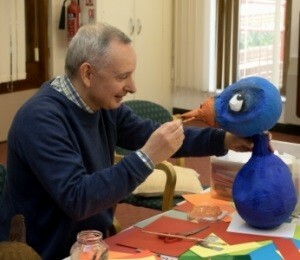 Our art and craft sessions have a relevant theme or topic that reflect the seasons or our members interests. We welcome all abilities to use this session as a tool to express themselves. 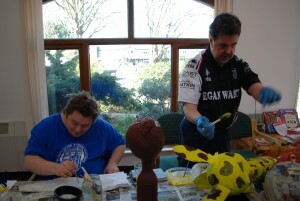 Our on hand tutor is there to support, guide, encourage and teach new skills using variety of mediums. Our woodwork sessions provide a fantastic opportunity for our members to create and make their own woodwork projects. 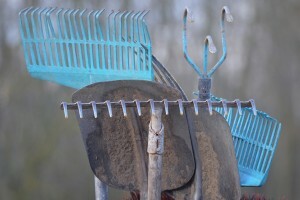 From garden trugs to coffee tables, to bird boxes. Some items are sold to support our woodwork service. We try to make most of our projects from reclaimed wood. If you enjoy singing, acting or some of the behind the scenes fun and prop making this group could be right for you. We also like to gain inspirations by watching other productions by taking trips to the Island and mainland theatres. This group will help improve confidence and is a great way to express yourself. The fun friendly atmosphere encourages new friendships and a chance to discover and develop your talents. Come and cook with us. Learn new skills and have fun at the same time. We welcome all abilities to explore their talents. 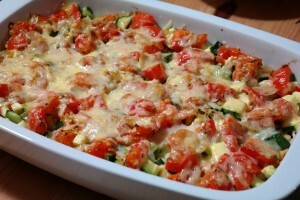 Our groups learn the skills to cook balanced meals and bakes from scratch. Our sociable atmosphere allows everyone to learn at their own pace and enjoy their delicious creations at the end of the session. We have an allotment right next to the Riverside with lots opportunities to grow a variety of seasonal fruit and vegetables. This group provides a therapeutic environment in which to make new friends while gaining the benefits of light movement and improving coordination. Our ICT suit offers a variety of classes and equipment: from iPad classes to photography, creative writing and one to one learning we have the session for you. 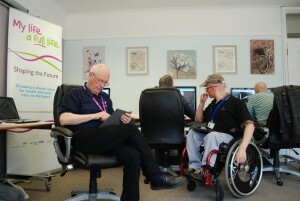 We have sessions for all abilities and can support you with your learning. Come and talk to us about how we can help. Our “Out and about” group takes every opportunity to explore the Island’s treasures. The member lead group plan trips and activities every three months from bowling to eating out, attending yearly Island events and taking a few trips off the Island too. Through Active Living make new friends and enjoy new experiences. If you would like to know more about how to get involved, please call us on 01983 539371, arrange a visit or see the Active Living website.